Wow, I can’t believe it’s been a month since I last posted something. I wish I could say it’s because I’ve been occupied vacationing in the Bahamas or perhaps catching up on tons of much-needed sleep. But the truth is, we’ve been incredibly busy here! New products, new manufacturers, overhauls of our site and store design – it’s all been such a blur that the month just zoomed by! But, I’m back. And I’m about, oh, 3 weeks overdue for a Vanity of the Week. So here I am, back, with a brand new Vanity of the Week! Or maybe not so new. I’m sort of cheating here, because this week’s vanity is the lovely La Lune – which I’ve done before, yes, but this time, it’s the Lune with a twist. You see, this Lune is – gasp! – Naked! While the Lune typically comes in a fresh white or rich black finish, we are now very pleased to present a Lune that’s got just the “bare necessities” – and it looks good. Finished with a clear gloss for a slightly-lacquered appearance, the Naked Lune‘s beautiful, natural wood construction is easily visible and provides a sumptuous feast for the eyes. 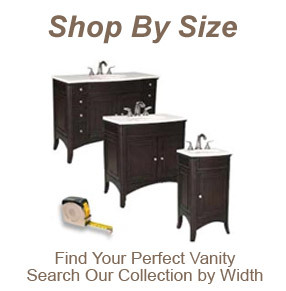 Every vanity looks different, too, since individual wood grains and slight colorations all vary from model to model. But not a single naked Lune I’ve seen looks anything less than gorgeous. Aside from its shiny new finish (or, one could argue, lack of a finish), the Naked Lune is the same as an ordinary white or espresso Lune. The timeless look is still wonderfully intact, featuring an ample primary cabinet with frosted glass paneling, three soft-close sliding drawers, four sturdy and durable metal feet (with chrome finish), and an elegant microlite ceramic basin that will last a lifetime. 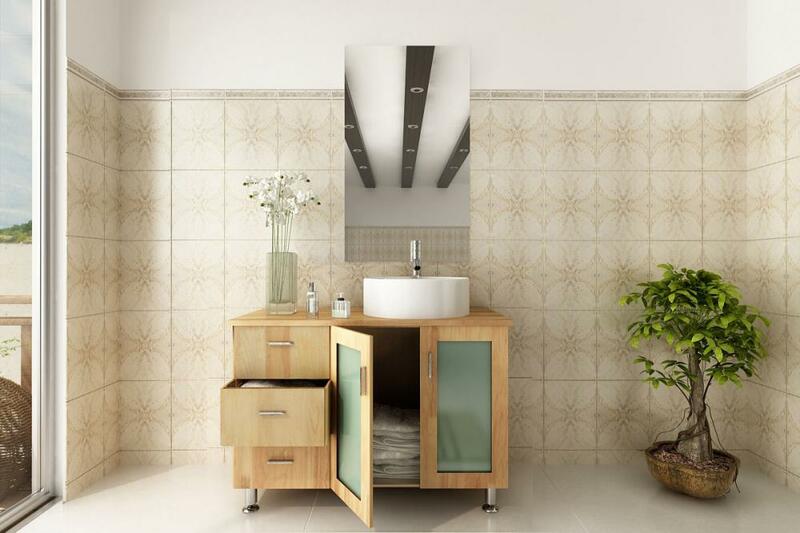 This vanity is truly “the whole enchilada.” And even if you don’t like enchiladas, you’ll love this vanity. 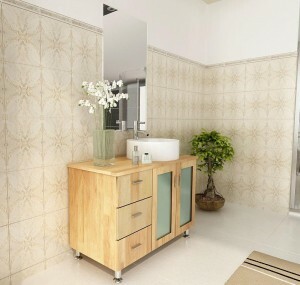 This vanity looks Fantastic! I really liked its design and style very much. Waiting for your next post, keep sharing such good stuff.